Students are a unique mixture of doctors and lawyers coming in for the fun and the fitness aspect of working on the pole while others are fire dancers and circus performers looking to add dimension to their personal repertoires. While Ecdysiast originally started simply as a studio that offered classes, pretty soon Shannon started to see a need and a desire for students to perform. They now have annual auditions for their training company which directly feeds into the performing company. While dancers audition to participate, the emphasis is put more on willingness to learn than meeting high technical standards. 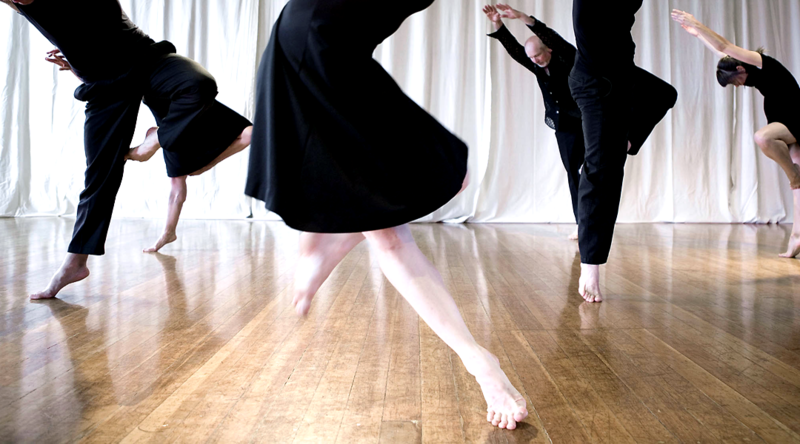 Dancers are also encouraged to choreograph, so shows often feature the work of the entire collective. Many of the company members have performed before but not been in charge of the choreographic process. As the director, Kristina guides them with choreographic tools and how to use them, while also giving the new choreographer plenty of space for their own movement creation to emerge. Each choreographer also works directly with the lighting designer, which is sometimes a new experience. Again, Kristina works to draw out the choreographers vision by asking: What kind of colors would you use? Why would you want them? What mood are you looking for? What are costumes and how will their palette interact with lights? She encourages them to think about shadowing, spotlight and various points of emphasis. The whole process is very much about learning and experimenting. Kristina believes that working in this sort of environment is very authentic to both the dancers and the audience. Kraig Mead – Artistic Director of the Contemporary Circus troupe Tempos says “Dance is a big word. But one of the most important components of it, in the context of Tempos, is the dancer being connected to the music, the sense of gravity, and the other people on stage.” While formally trained in acrobatics, dance and physical theatre, Kraig discovered he needed to deconstruct many of the elements of his training to achieve his vision. Mandy Cregan Co-Artistic Director of POV is an energy worker by day, but she also brings energy work to her artistic vision – in a unique way. She and her company of dancers channel the energy of buildings. 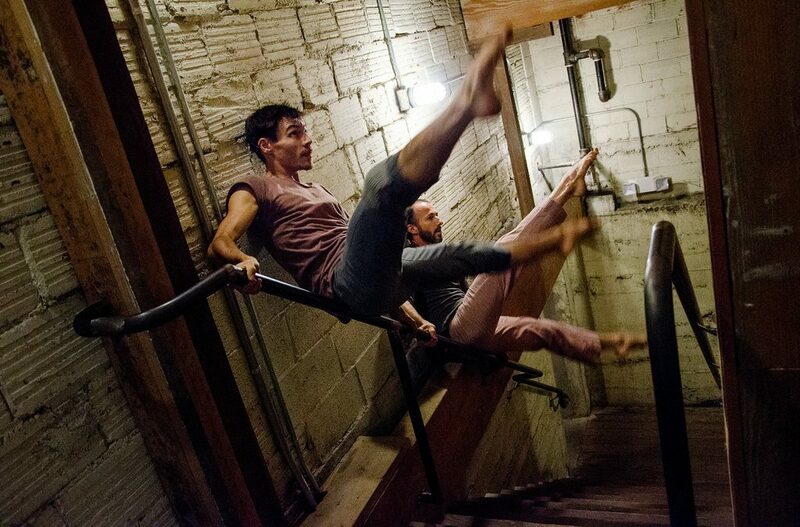 POV has created performances at the Left Bank Annex, the Ford Building, a stairwell in the Pythian Building, and in the folding seats of an auditorium – anywhere but the stage. They prefer to dance with the space instead of merely being contained by it. Draping over the railing, sliding down the banisters, leaping from the window sill are some of the ways they play off their environment. POV dancers have a skill set that interacts with structure in a way that they were initially trained to partner with bodies. The angles, architecture, and geometry of a building draws out certain movements that make the dances created exclusive to that building’s features. But how do they channel the energy of a building?? Sometimes they research the history, sometimes they intentionally highlight the craftsmanship of the structure, but mostly, it just comes naturally. Whether it’s the gorgeous wood floor, the bright windows or the decades of people who have danced in the room, there is a notable feel to Conduit’s space that can’t be ignored. After 20 years in their downtown building, Conduit’s Director Tere Mathern has only this to say: “What does it take to keep a space empty so we can fill it with dance?” She is referring to how Portland has grown and the landscape surrounding the building that houses their space, right in the heart of downtown, has dramatically changed. These changes have even brought Conduit dangerously close to being pushed out of their home, before the dance community stepped in to save it. 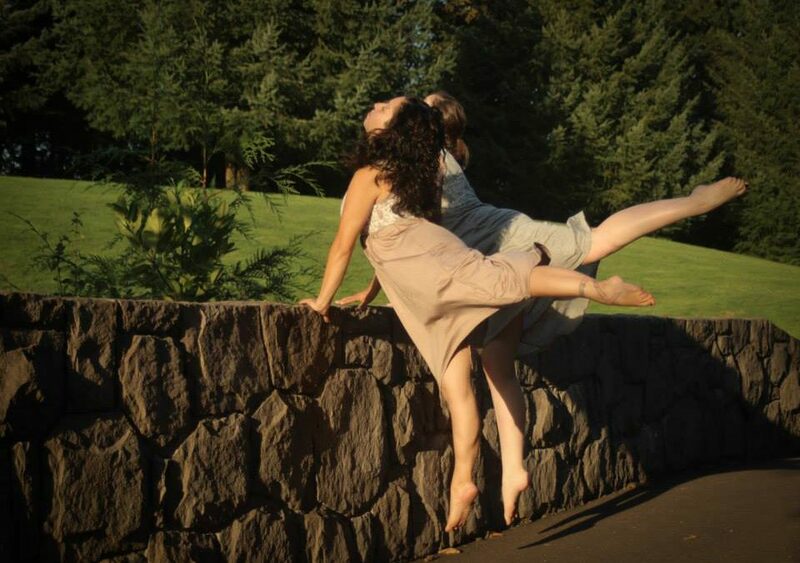 Conduit itself has evolved and shifted, but the one binding thread is the actual room that supports their vision of providing an incubator of artistic creation for the dancers of Portland. One of the programs Conduit will be presenting, for the third year this July, directly supports that mission. Dance+ is one of the only dance focused, curated group shows that highlights artists from our region. Providing a venue for professional work, the program also strives to create space for experimentation, and past participants have described their experience as nourishing. 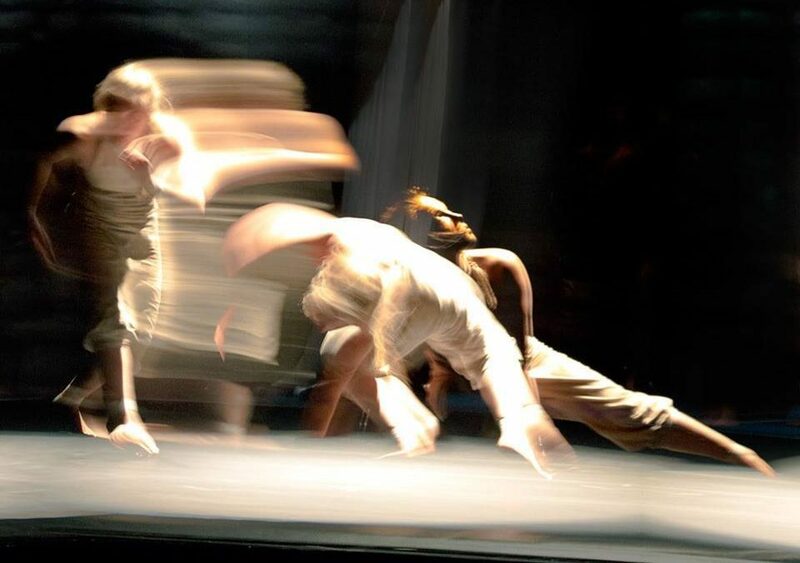 The program is unique in that it offers a commission to choreographers and provides space grants so the artists can spend less time managing the logistics of producing their work and instead immerse more fully into the creative process. The framework of multiple choreographers, dancers and collaborators involved in the same show also leads to better, more sophisticated work. If you want a see into the minds of some of Portland’s developing artists, look no further.